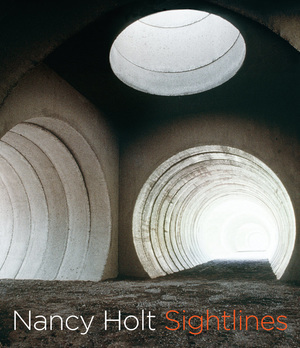 This is the first retrospective study of Nancy Holt, the visionary American artist—a landmark companion book to the “Nancy Holt: Sightlines” exhibition. Holt’s wide-ranging body of work since the late 1960s includes Land art—particularly the monumental Sun Tunnels (1973-1976), major works of sculpture, installations, film, and video. A comprehensive representation of her working process in both word and image, this book illuminates Holt’s interest in physical space and reveals how the geographic variety and boundlessness of the American landscape afforded the artist numerous opportunities to develop large-scale projects beyond the confines of New York City’s gallery walls. Essays by a diverse and distinguished group of contributors—including Pamela M. Lee, Lucy R. Lippard, Ines Schaber, and Matthew Coolidge—chart Holt’s fascinating trajectory from her initial experiments with sound, light, and industrial materials to major site interventions and environmental sculpture. James Meyer’s valuable interview with Holt and Julia Alderson’s illustrated chronology expand our knowledge of this groundbreaking artist and the crucial contexts in which she worked. More than twenty original writings by the artist and a rare selection of her concrete poetry, documentary photographs, and preparatory drawings reveal Holt’s revolutionary concepts of space, time, optics, and scale. Alena Williams is an art historian and the curator of the Sightlines exhibition to open at the Miriam and Ira D. Wallach Art Gallery, Columbia University, in Fall 2010.